A good play on words is my fave, so it's no surprise that I love creating silly Valentines. 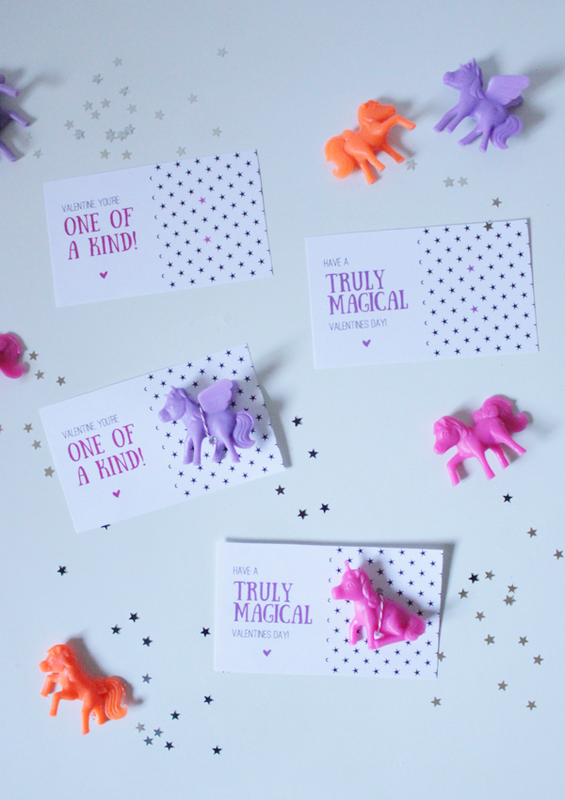 The past few years I’ve come up with candy-free ideas inspired by goodies in Target's dollar section, and this year I hit the jackpot with these ‘mystical ponies'. Cater to my daughter's horse obsession... why don't mind if I do. Perhaps the boys won't love them quite as much, but having a unicorn around never hurt anyone, right? To go with the unicorns, I designed a set of cards as a freebie for you to download and print (white cardstock recommended). The colored stars in the pattern are intended as a guide for placing the figures. Just punch out the colored stars and thread a small length of baking twine over the unicorn and out the back. Tie the twine firmly on the back of the card to hold the figure in place. Feel free to get creative and attach any one of a kind magical creature you can think of. 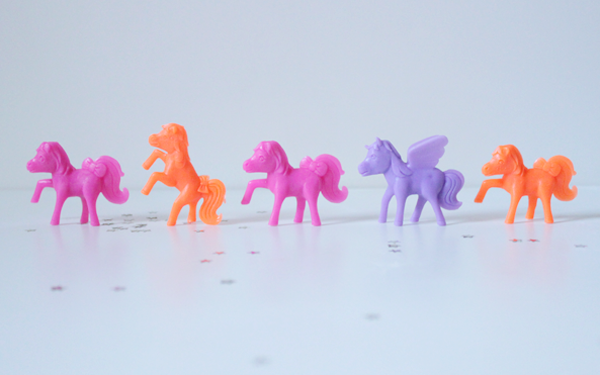 Dragons, yetis, hippogriffs and jackalopes are all fair game… if you can manage to find them in tiny plastic form of course. 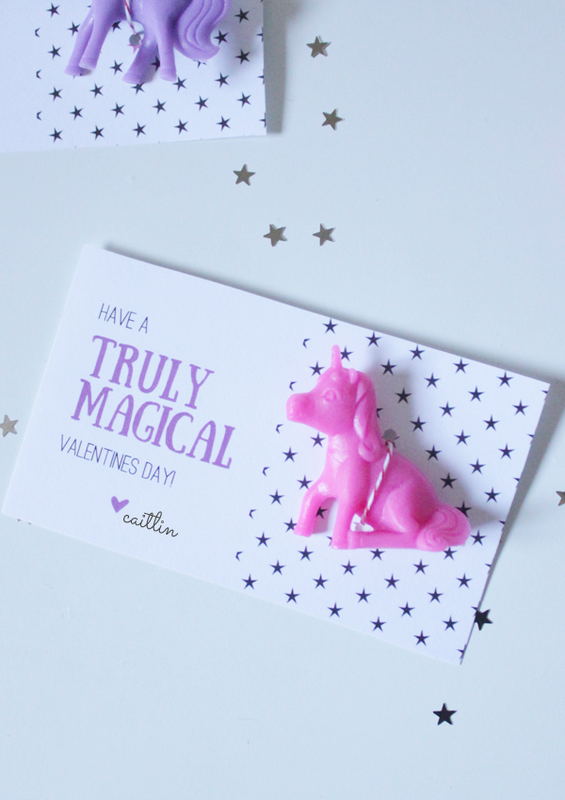 Have a magical Valentines Day! These printables and images are © CAKE. | events + design and are for personal use only. If sharing them on your site, please credit CAKE. events blog and link directly to this post. I think both boys and girls would like this. Thank you soooooo much! 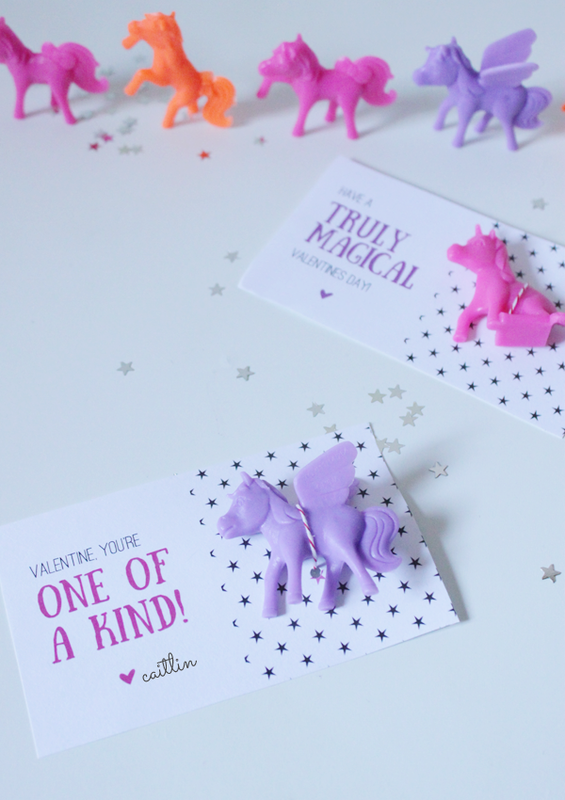 I too found these adorable unicorns at Target and was looking for a way to incorporate them into Valentines Day. I love what you came up with and thank you so much for the free download! You rock!